Hot Garbage Comedy brings the fun to your office in customizable team building packages! 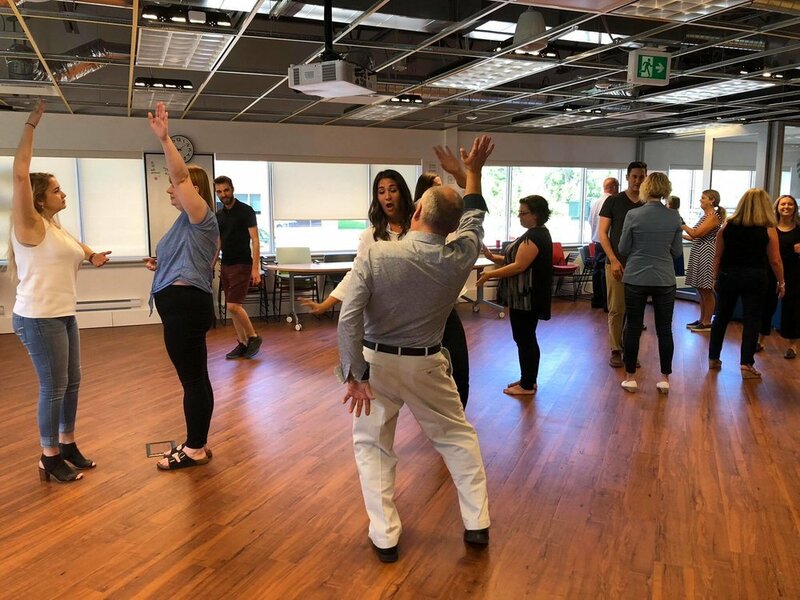 See how improv games can unlock creativity and cohesion in a workplace and gain helpful skills managing workplace stress. Email us here with a description of your team to get a quote foryour custom team building event. Improvisation is about communication. How to get your ideas across so that they are understood while understanding what others are communicating to you — verbally or non-verbally. Hot Garbage Comedy is working with the business sector to improve pitches and public speaking through the application of performance techniques, such as vocal work, storytelling, and physicality. To learn more about our speech coaching, email us here.